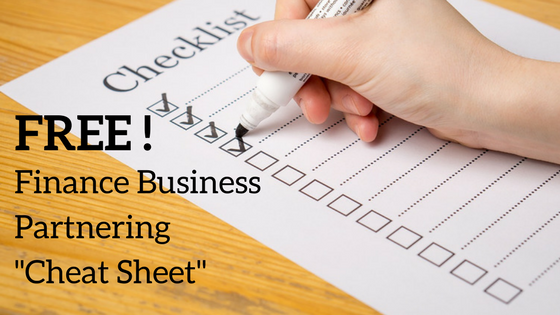 FREE: Finance Business Partnering Cheat Sheet to focus your Finance business partnering resources on where you can add most value! Help them do their bit to boost the performance of your business - Download this simple “cheat sheet”. 100% FREE! Get the "cheat sheet" now! Get your cheat sheet template to download now - FREE!